Summary: Today we have another guest post by Franz Gayl (Major, USMC, retired), in which he provides perspective on one of the most important developments of the 21st century. Correctly understanding and reacting to this is essential for America, if we are to have a successful grand strategy in the 21st century. 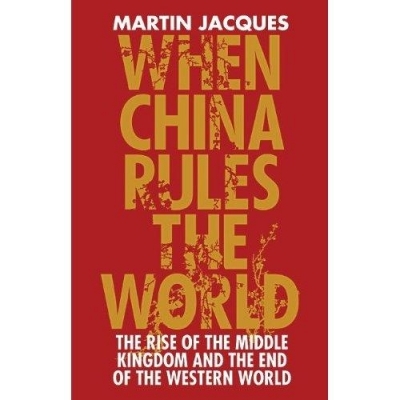 On 9 September 2011 the FM website republished Will China become a superpower?, with articles by by Minxin Pei (Prof of Government at Claremont McKenna College; his latest book is China: Trapped Transition) and Young J. Kim (former Captain in the US Army, currently a PhD candidate at Korea University in Seoul). It’s worth reading in full. This widely accessed piece has since benefited from extensive expert critique, a discussion that is still on-going in the comments. The discussion has provide an education for me on various aspects of China’s observed course and general historical precedents. I am neither a historian nor an economist, and there is little that I can add to those expert comments. However, one voice that could be added to the discussion that began in 2011 is a definitive Chinese government position on China’s rise. During my development of a wider-ranging ICAF research paper in 2005 – 2006, I was permitted to interview Consular Jia Xiudong at the Embassy of the People’s Republic of China in Washington, D.C. where he then served. The paper in which the interview is nested has been posted on the FM website. Unfortunately, the length of my paper was as a major flaw, and the interview was effectively buried within it out of sight. Yet, Consular Jia’s observations in that interview would appear critical for the balance of FM’s China discussions today. The interview is certainly dated in that it was conducted six years ago. This will be seen as many of the contemporary events discussed from that period have evolved or changed in quantitative scope. One cannot assume exactly what the Chinese would say today without conducting another interview in 2012. At the same, looking at the contents and given consistency-focused Chinese government strategic communications, it is unlikely a 2012 interview would yield much different positions, especially on critical themes. My questions were wide-ranging and submitted to the Embassy almost two months in advance of the interview. Consular Jia was surprisingly candid in his detailed, Chinese Government approved answers to me. The interview was reviewed and approved by the Chinese again after I typed it up my notes so as to constitute a joint understanding of the 2006 interview contents shared by author and the Chinese Government in the published paper. 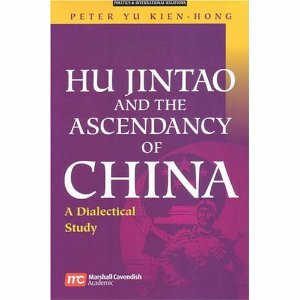 I contend that its contents are overwhelmingly what China wants us to understand about China’s rise even today. This is especially true when it comes to the topic of Taiwan and its employment by the U.S. defense industry as a justification for increased military expenditures focused on containing China. Taiwan is a salient topic today as industry and military interests are, according to public sources and media reports having significant success in influencing the Congress and Administration decision makers in this regard. China is committed to peaceful domestic development in the context of globalization, and seeks to contribute internationally as a partner in a multi-polar world. China’s leadership is also faced with great domestic challenges, as the people of China have different concerns and interests throughout society. On the international front, China is committed to peace and cooperation. In terms of U.S.-Chinese bilateral relations, misunderstandings have arisen that cause Americans to question Chinese intentions, and the implications of her rapid development. 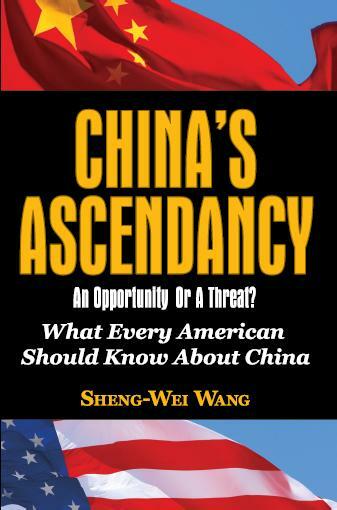 Americans ask, is China a partner to be engaged or a threat to be contained. These misunderstandings can best be mitigated through franker bilateral communications on sensitive issues, including perceiving China and the U.S. through the eyes of the Chinese themselves, i.e. standing in the Chinese shoes. It also includes prioritizing the self interests of our nations as core, vital, and important, and finding the commonalities between them, i.e. the purpose of this interview. With regards to the Chinese economy, America, and indeed most of the world will agree that China’s pace of growth and fast development have been particularly noteworthy. Her sustained growth rate, that has averaged 9.5% per year over the past 26-27 years is without precedent in human history. The Chinese standard of living is rising and educational levels have been rising as a consequence, as are societal expectations. It is balance and stability China desires to preserve during this remarkable transformation. It must be noted here that Chinese characteristically treasure stability. As it pertains to Chinese reform, China’s population of over 1.3 billion people, her geographical challenges, and special history cause her societal approach to differ from the U.S., in both quality and scale. This can cause misunderstandings between our countries, especially on the issues of democratization, rule of law, and freedom of expression that America holds as ideal. China admires these values, in fact China has made significant progress on all fronts since the reforms of 1979, largely by learning from the U.S. and Europeans. In fact China’s transition from a command economy to a market economy has been most dramatic, with influences from the governmental center limited today to macro-policy. Furthermore, China is not an enemy of the internet. There are currently 110 million Chinese internet users, second only to the U.S. in quantity. This number is rapidly increasing, as is the number of websites, currently numbered at over 700,000. Chinese education is another area of tremendous development since the reforms took effect, with China now producing the same number of college graduates each year that she produced over the entire 25 year period that preceded 1979. And the focus of education has turned to science, technology, economics, and education, the skill sets needed for further growth in the midst of globalization. Add to this China’s efforts to resolve civil and other issues in a court of law, as developmental imbalances last year resulted in 70,000 rural protests, freedom of expression unthinkable prior to the reforms. And despite government interest in maintaining stability, this rapid economic growth has aggravated economically, regionally, and sector differentiated gaps. For example, the medium per capita income of the Chinese today is 1,700 dollars. But this increasing national wealth is by no means evenly distributed. While 100s of millions of Chinese are experiencing affluence, 100s of millions are also living in near-poverty. In fact, in 2005 24 million Chinese were actually living in poverty. Urbanization has also taken its toll, with a mobile work force seeking 24 million city jobs in 2005, even though only 10 million city jobs are being created each year. Further demarcations of wealth accumulation favor the East Coast Provinces over the western hinterland regions, and also favor the cities over the rural communities. China believes that the next few years will be critical for maintaining China on a relatively balanced and stable course. As the medium per capital income grows from 1,700 dollars to 3,000 dollars gap tensions will increase, even threaten chaos. This is a focus of government efforts today, with the harmonious balance of gaps and growth stability as the goal. Once the 3,000 dollar threshold is crossed there will occur a much broader diffusion of national wealth and Services, especially to the disadvantaged. Essentially, the floor of subsistence for all will be raised, thereby relieving the tension. This is one of the reasons that the government is currently so interested in maintaining stability and developing the social nets of Social Security and universal medical care, including health insurance, to have them in place to mitigate the tension. China’s special characteristics require that her evolution towards these ideal characteristics must be thoughtful and deliberate. All Chinese abhor the danger of allowing the anarchic aspects of rapid development to lead to societal instability, degeneracy, and even chaos. The Chinese know well the destructive potential of chaos. The Cultural Revolution was the most recent example of a loss of control of idealistic forces that turned out to threaten the very fabric of her society. The author brought up the issue of the Google search engine, and how this and other unrestricted forms of internet access in the U.S. has been a two-edged sword. The author noted that this the unregulated internet has enabled forms of societal degeneracy and crime that are destructive by any measure, and unprecedented in scale. The interviewee did not dispute the validity of this observation. The ideal of unbridled freedom can be anarchic, with unintended consequences that threaten societal stability and well being. It is clear that China’s path is a challenging one, full of both risks and opportunities. The forces of globalization such as open market economies, multilateralism, and the values noted above, are shared by the Chinese government, as well as others such as the U.S. But stability must be maintained throughout or the value of reform will be for naught for the Chinese people; there will be no reform, no development, no progress, and China will have no global future. Again, America must stand in Chinese shoes to understand why China’s path to development should and must be different from that of the U.S., as the two nations come from fundamentally different circumstances. China notes with concern reference to her “rise‟ as though it could be compared to that of Colonial or Imperial powers of the past. China’s remarkable economic achievements are the product of a total engagement with the other partners in a globalized world, and according to competitively–oriented, yet peaceful economic rule sets. These rule sets originate overwhelmingly in American open-free market principles, not in foreign conquest or the threat thereof, both anathemas to China’s world view as she herself has experienced colonization in the past. In this light, China would expect that America and others would welcome a highly competitive China to help raise the bar of scientific, technical and commercial excellence for the ultimate global betterment of all nations. As development pertains to her military capabilities, China continues to modernize her capabilities commensurate with her needs to preserve the sovereign integrity of One China and protect her boarders. Currently, China shares boarders with 18 other nations. Some of those nations have a history of tensions with China, and even fought wars with her as recently as the 1960s and 1970s. Since the institution of reforms, peaceful negotiations with her neighbors have dominated China’s resolution of disputes. Broad past disagreement with Russia over their shared border has now been reduced to peaceful negotiation over a small remaining 1,000 kilometer stretch of frontier. Similar contentions with Viet Nam, Philippines, Burma, Malaysia, India and others are largely resolved. Misunderstandings over outstanding issues in the South China Sea, such as the Spratley Island chain are being maturely handled through joint development rather than military confrontation. Still, a nation as geographically expansive and populous as China will continue to grow her military capabilities commensurate with the national and international security environment that she perceives, as well as her resources, a right and duty of all responsible sovereign nations. The increases in Chinese military outlays and her fielding of advanced defensive capabilities have caused many in the U.S. concern regarding the strategic purpose of China’s military. This suspicion of China is routinely evident in high level U.S. official statements and documents, ranging from those of the U.S. Secretary of Defense, to influential members of the U.S. Congress, to the Quadrennial Defense Review (QDR). These include incomprehensible suggestions that China needs to be “contained‟ with Cold War logic, as though One China has military or ideologically grounded imperial aspirations, such as those of the old Soviet Union. What is needed most to alleviate a potentially harmful misunderstanding of China’s military intentions is, again, for the U.S. to stand for a moment in China’s shoes. 18 shared foreign boarders, a painful past occupation by Imperial Japan, a renegade Province of Taiwan that threatens succession from China, and the continuous presence of American troops in East and Central Asia. China’s understanding of sovereignty does not condone the stationing of foreign forces within the boarders of any other nations. Admittedly, the expeditionary presence of U.S. forces adjacent to China’s boarders and coasts, in Korea, Japan, and elsewhere has reasonable justification in preexisting alliances and the prosecution of the Global War on Terror, in which China is a committed ally. 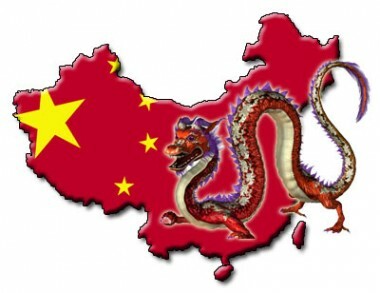 China accepts this encircling presence with understanding, and does not contest it under those circumstances. At the same time, China has deep concerns that any nation would employ bilateral alliances, or GWOT prosecution as a pretext to exert coercive pressure on China. An example might include Japanese encouragement of Provincial Chinese secessionists knowing that it has a nuclear-armed American ally. China would consider such third party leverage over One China’s sovereign affairs as a clear violation of the past Communiqués that she has with the U.S., and extraordinarily threatening to Chinese national security. By looking out from the Chinese vantage point, it is hoped that those American policy makers most concerned with China’s military improvements might take a moment to see that China’s posture is pragmatic and measured, not chauvinistic. And it also responds to a fluid external military-security environment over which it has little control, other than through communication, negotiation, and deterrence. There is danger that an uninformed action-reaction cycle of tension between the U.S. and China leads automatically to arms escalation over time, as history has shown in previous eras as well. Most significantly, it’s incidental “self-evidence‟ gives fuel to the arguments of nationalists and extremists in both nations for whom mutual mistrust is a foregone conclusion, and basis for their political legitimacy. Open, frank communication and an absolute adherence to bilateral agreements is the key to interrupting the cycle constructively. In this light, the U.S.’ reliable adherence to all aspects and provisions of the 3 Joint Communiqués, which China cherishes, will have a certain outcome that mitigates bilateral tensions. As it pertains to eliminating military tensions, closer and more consistent military-to-military interaction would be very beneficial, especially during periods of political tension when the personal trusts built into professional military relationships can weather misunderstanding. In the end, China understands the reasons for the presence of U.S. forces in Asia. In fact, China does not want U.S. out of Asia. Peaceful commercial, diplomatic, and military engagement in context of globalization is inevitable, and desirable, so long as the concerns noted above are considered and mitigated. For China, the importance of resolving the issue of Taiwan in strict accordance the 3 Joint Communiqués transcends any other national priority, including stability, balanced development, and sustained economic growth. Its fundamental importance to Chinese national identity eclipses even the issue of the form of government or rulership of China. No matter who governs One China, or under what pretext, Taiwan would always stand out separately as China’s Number One national security priority. It is the core issue at the center of U.S. and Chinese bilateral relations, and a source of increasing concern for the Chinese, a situation that it would be wise for the U.S. and One China to consider deescalating. The Province of Taiwan’s artificial political alienation from One China is a deep emotional wound for 1.3 billion increasingly nationalistic Chinese, as well as fully half of voting age Provincial Taiwanese themselves. America’s is perceived as encouraging Taiwanese independence advocates by means of veiled military assurances in the Taiwan Relations Act (TRA), and the continued sales on modern weapons to the Province of Taiwan that are in blatant violation of the Joint Communiqués, documents that the Chinese cherish as inviolable. The most recent 1982 Third Joint Communiqué reaffirms the 1972 Shanghai Communiqué and the 1979 Joint Communiqué on the Establishment of Diplomatic Relations in restating the U.S. acknowledgement that there is only One China. Furthermore, in that most recent 1982 Communiqué, the U.S. stated that arms sales to Taiwan will not exceed, either in qualitative or in quantitative terms, the level of those supplied since the establishment of diplomatic relations in 1979, i.e. they would be capped at 1982 levels of capability. It also committed to gradually reducing its sale of arms to Taiwan, leading, over a period of time, to a final resolution. For the Chinese, concerns over this matter are reinforced in American promises of advanced armaments to Taiwanese that violate the agreed provisions of the 3rd Joint Communiqué. Specifically, this involves America’s promises of 150 F-16s, 12 P3Cs, 8 diesel submarines, and advanced Patriot Block III missile batteries, all advanced technologies, most being qualitatively superior to those provided to Taiwan between 1979 and 1982 . All told, this $18B capabilities package also represents an increase in the quantity as well, fueling a growing perception of American disingenuousness on the matter. This also fuels the martial sentiments of Chinese nationalists and further encourages the renegade behavior of the Taiwanese government. Together, these developments are very unfortunate. Whether or not the U.S. intended to fuel the ambitions if Taiwanese secessionists is not the point. What is critical for the U.S. to understand is that the TRA and violations of the 3 Joint Comminiques is leading to potentially disastrous unintended consequences. This constitutes China’s core national security concern today. The intent of the 1979 TRA was for the U.S. to attempt to influence the terms of unification under Cold War circumstances, when the Kuomintang (KMT) contended with the Communist Party for rule over One China. The TRA and its associated weapons sales were designed to provide the KMT leverage in negotiations with the Communist Party on the Mainland as peaceful assimilation proceeded over time. While Taiwan was considered a practical and defensible temporary home for the KMT, it was never seen as a nation distinct from One China. Taiwan was considered a Province, nothing more and nothing less, and all Communiqués reaffirm this fact. For their part, the Chinese are in no hurry with regard to a peaceful political assimilation, as One China is and has been a recognized reality in all Communiqués and within the United Nations. Many aspects of Taiwanese economic absorption into One China are already a reality. Massive Taiwanese investment in Mainland China and relaxation of previous cross-strait restrictions on familial fraternization are contributing to an inextricable interdependence over time. This stable path could only be threatened by moves to high jack a Taiwanese identity for purposes of secession, with American military intervention looming as a possibility. However, President Chen Shui-bien’s recent decision to disestablish the National Unification Council and disregard the National Unification Guidelines threatens the emergence of an irreversible crisis. During its formulation in 1979, China had cautioned the U.S. that the TRA would eventually lead to deep mistrust between China and the U.S., in spite of American confidence to the contrary. The latest moves towards attempted succession are evidence that the Chinese perspective was and remains valid. On several other occasions in recent years the outdated TRA has prompted similar reckless actions by other Taiwanese separatists, as well as unfortunate comments by U.S. Presidents and influential members of Congress. Tacit U.S. encouragement of Taiwanese recklessness is perceived as a clear threat to China’s core national security issue. During the interview, the author suggested that U.S. support for Taiwan compares approximately to Union concern over French assurances to Confederacy secessionists that international recognition was an incentive worth prolonging the American Civil War for. China does not dispute the validity of this comparison. Like America’s emotional commitment to wage total war to prevent Confederacy succession, China today feels compelled to prepare for just such a worst case, including total war with the Province’s foreign allies. Still, many in the U.S. Congress and the Pentagon site the dangers of appeasing the Chinese, failing to stand up for American values overseas, and traitorously “walking away from our friends in Taiwan.‟ They point to the ambiguous language in the Act as preserving flexibility of U.S. options, and insist that arms sales to Taiwan constructively strengthen the province’s negotiating position vis-à-vis the Mainland as assimilation is worked out. However, it is reliability that is highly honored within Chinese foreign relations, not empty rhetoric, and this psychological support to the Taiwanese is an affront to the Communiqués that were negotiated and agreed to by the Chinese in total sincerity. China and Provincial Taiwanese both view the Act through the Chinese cultural prism. Favorable positioning for negotiations is not an issue for One China, no matter how well intended the thinking of naïve TRA advocates. Preserving the status quo TRA is therefore a lose-lose situation. For the U.S. to opt not to come to the military aid of Taiwanese secessionists in a time of crisis her international credibility will be in a shambles globally. Alliances are not options from the Chinese perspective. Conversely, for the U.S. to opt to come to the defense of the secessionists, a conflict with China would escalate to total war with absolute certainty. The integrity of One China is not negotiable. During the interview, the author recalled a passage from the book The U.S. Marine Corps Story. In it, J. Robert Moskin related one relevant example of China’s reliability when it comes to her consistency of policy and action on a core issue. The author recalled Moskin’s observation that on 3 October 1950 China’s Prime Minister Chou En-lai warned that if American troops crossed the 38th Parallel in Korea, China, a non-nuclear power, would enter the war against the nuclear-armed U.S. China did exactly what she promised and effectively prevented the unification of Korea, even while suffering tremendous losses at a rate of 20 combat deaths for every U.S. soldier lost. The interviewee neither confirmed nor disputed the validity of the author’s probing analogy. However, he restated clearly that any necessary means would be employed by China to prevent a renegade Province of Taiwan from seceding from One China. Ironically, the advocates of the TRA are the same who ask why China does not do more in support of the U.S. against common threats. In fact China shares great concern for both Islamic extremism and rogue nuclear powers in her region. But China acts pragmatically in prioritizing her foreign relations objectives. Right now a renegade Taiwan is the major threat to her domestic and international legitimacy. Given a favorable resolution over Taiwan, China would deal with other threats, such as Radical Islamists in Iran and North Korea with sincerity and self-sacrifice. Furthermore, long-term partnerships in alternative energy, peaceful nuclear power, the environment and other common global interests are a certain outcome. Conversely, the continued perceived interference by the U.S. in this core Chinese issue at the center of our bilateral relations, whether conscious or unintentional, is extraordinarily dangerous. A peaceful long-term full resolution is always preferred by China, as per the Joint Communiqués, and all possible tools will be employed to avert regrettable options of nearer-term last resort. But any incident that leads to a proclamation of independence by the Province Taiwan will cause China to react decisively, with physical implications being irrelevant on this emotional issue. Chen Shui-bien’s recent activities come dangerously close to inciting just such an irreversible crisis. As it stands, the TRA and America’s continued violations of the three Joint Communiqués are a deeply unfortunate source of concern for China, over a core issue in which compromise is not an option. In fact, the Chinese see this Act as an unfortunate burden on the U.S. that risks placing U.S. interests and her forces at risk for a misguided cause. In 1972, 1979, and 1982 the U.S. was not signing up to Taiwanese succession, but rather it was affirming One China, whether it be KMT or Communist party governed in the future. In fact the Joint Communiqués explicitly forbade Taiwanese succession. It is China’s sincere hope that the formal elimination of the TRA and a recommitment to the strict upholding of the Joint Communiqués will become priorities for both the U.S. President and Congress. China has invited an open dialogue with Chen Shui-bien and his Democratic Progressive Party (DPP). But unlike the KMT, the DPP has increasingly evolved into an Independence Party, refusing China’s communications overtures. This enables a small renegade party, elected to power on the slimmest of margins and whose democratic procedures are still in question, to hold the U.S. hostage to the whims of irresponsible leadership and the tensions of brinkmanship. With the TRA and weapons sales in place an irreversible and unintended domino scenario is conceivable. Neither China nor the U.S. could possibly want total war with one another over Taiwanese succession, but China will certainly employ any and all available means to prevent it, however destructive the tragedy that might ensue. In the end, this core emotional contention remains fundamental to the identity of over 1.3 billion Chinese people, and it is not negotiable. Franz J. Gayl serves as a civilian science and technology advisor within Headquarters Marine Corps at the Pentagon. Previously he served for 22 years as an active duty infantry Marine, starting as enlisted and retiring with the rank of Major. He earned an MS in Space Systems Operations from the Naval Postgraduate School and an MS in National Resource Strategy from the National Defense University. At NDU he was presented the “Ambassador’s Award” for my research and paper. He also participated for 5 months in a DARPA internship, holds one patent, and is a graduate of the 2011 Singularity University Graduate Studies Program. I’ve always thought that anxieties about the Chinese “threat” have little to do with anything they’ve done, and much, much more to do with OUR need for an enemy — any enemy. There’s so much money to be made whenever there’s a “threat” about. Also, while sweeping social generalizations are always suspect, I’m convinced that many Americans have no sense of their own culture and traditions, unless they can conjure up opponents to provide contrast, definition. It’s very abnormal. Remember how, immediately before the September 11 attacks, the neo-cons were frantically trying to drum up angst over the Chinese menace? I do indeed remember that sglover. I particularly remember how the Bush administration before 9/11 designated hackers as terrorists and thus states employing state-hackers as terrorist states. This was of course directed at the Chinese. I wonder if this was ever enshrined into law and shudder at how this could be used in concert with the current body of paranoid and unconstitutional terrorist legislation. Agree but there is some politeness here, bot mentioning British, US, et al invasions and sequestration of large areas. Japan came rather late to the party following the West’s example.. Plus the Opium of course. Personally If I was Chinese I’d be paranoiac about Western intentions, especially since the West has gone completely feral over the last 10 years or so. Will the West use military force to ‘rollback’ Chinese investments in other countries? Heck yes. In fact it is doing it right now and will undoubtedly continue. Can you give some examples of your last statement, OldSkeptic? I haven’t heard of anything like this and would like to know more. If only we had a ruler with which to measure the honesty of leaders. Would China’s leaders prove more or less honest than our own? But everyone has to remember that China was endlessly attacked by the West and Japan for over 100 years (I mean everyone. UK, US, Germany, France, the lot) . Broken up, balkanised There is a grim determination within their society to never allow it to happen again. And never forget their memory of the Japanese (who in some areas could have given lessons to the Germans Nazis). So their hyper sensitivity and antipathy to Japanese militarism rising again (which I think will be the single greatest threat over the next 20-30 years in the Asia Pacific).